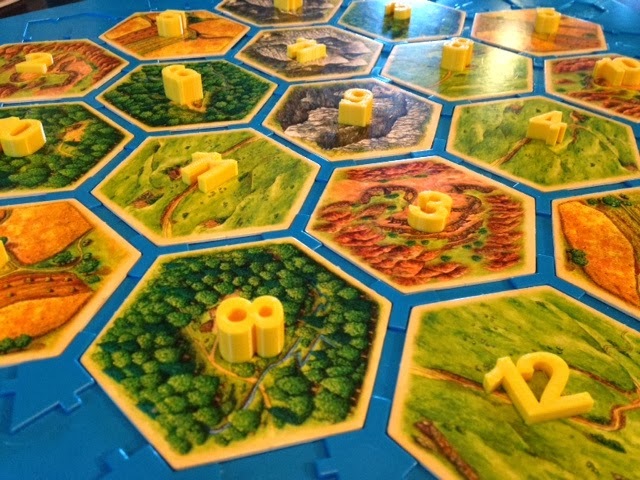 We play Catan a lot at the dinner table and everything gets a little rough around the edges. Our number disks in particular looked a little shabby so we made some spiffy replacements. The numbers were made using Inkscape and Tinkercad, with the font-extruding technique from Day 27. We used height instead of dots to indicate frequency of the numbers. Settings: Replicator 2 on "Standard" with no raft, on the glass, in just under 2 hours (for all the numbers together).